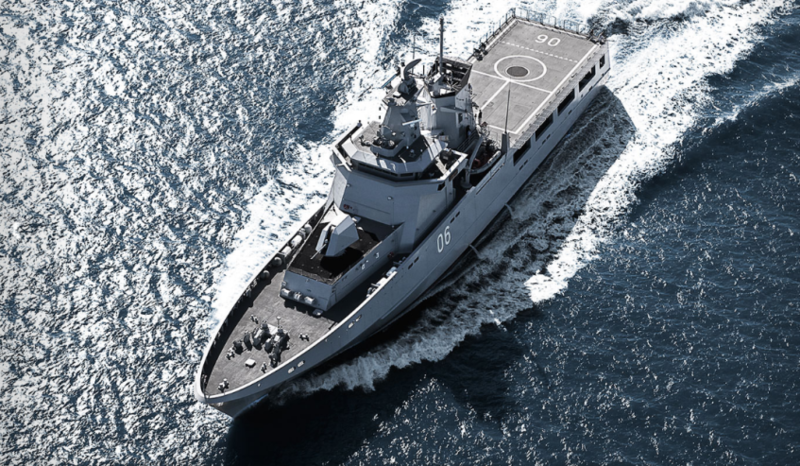 One of the two tenderers partnered with ASC Shipbuilding and Civmec for the SEA 1180 Offshore Patrol Vessel bid has identified facilities and reputation as the key reasons behind its choice of partnership. Germany company Lürssen told Defence Connect that when the company was weighing up its partnership options over a year ago, the reputation of Civmec and ASC Shipbuilding was the defining factor of its decision. "We analysed the situation well back, I would say roughly a year ago, and there was some options on the table," Lürssen's managing director (defence) Dirk Malgowski said. "We had discussions with various potential partners. We thought ... from the very beginning Civmec attracted us as a potential partner in this program, and I can well explain why that has been the case. First of all, it is, let's say, a tremendous success story what they did in different industries, in oil and gas." Malgowski said Civmec's experience and expertise across the energy and resources sector was a strong selling point for the German company, largely due to the reputation of efficiency the Civmec name carries. "They brought lots of work back to Australia that previously was lost to low cost countries because they focused very much on processes and cost efficiency. And, when it comes to being really competitive in the international naval shipbuilding market, this is what really counts," Malgowski said. But Malgowski also touched on the company's spirit and ambitions, evident in its current expansion plans. "They [Civmec] have state-of-the-art facilities over here in Perth, and they are even expanding the current facility by a huge shipbuilding shed, and they have done so even before being awarded with any governmental work. This shows you a little bit the entrepreneurial spirit that they have in this company," he said. Malgowski also said despite the problems ASC encountered during the Air Warfare Destroyer (AWD) project, it has ultimately led to what Lürssen considers a strong and impressive turnaround by ASC. "With ASC, I think it's an ideal fit because ASC is, I would say, among the finest shipbuilders of your country," he said. "And although they had a couple of difficulties initially with the AWD design, not all being their fault, I have to admit, they went on to be a success story. We've been with Mark Lemar, who's the CEO there, for quite a while, and it's impressive to see how he and his teammates have turned around the company. So, shipbuilding pedigree being added as a recipe, and then you have us, the designer and designated prime, and I'm pretty sure it will be a strong combination." The SEA 1180 OPV project is valued at $3 billion. Along with Lürssen, German company Fassmer and Dutch company Damen are also tendering for the project. The project will see the winning tenderer construct 12 vessels, with construction due to begin in 2018.